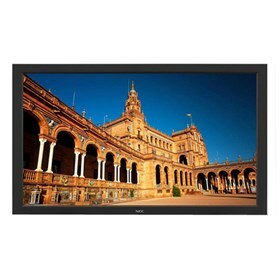 The NEC NECBDG-90200 is a 42" commercial-grade large-screen LCD display that offers digital signage users a cost-effective solution. It features a built-in expansion slot that allows for seamless integration of NEC accessories, third-party components and Open Pluggable Specification (OPS) products. The NECBDG-90200 offers built-in 10W speakers, a public display-grade panel to protect against permanent image retention and a full selection of inputs, including digital loop-through. The NECBDG-90200 displays are ideal for use in applications that require extended use, including retail and restaurant markets, or locations that include indoor venues, training facilities and corporate boardrooms. The NEC NECBDG-90200 has many exciting features for users of all types. The NEC NECBDG-90200 is sold as a Brand New Unopened Item.